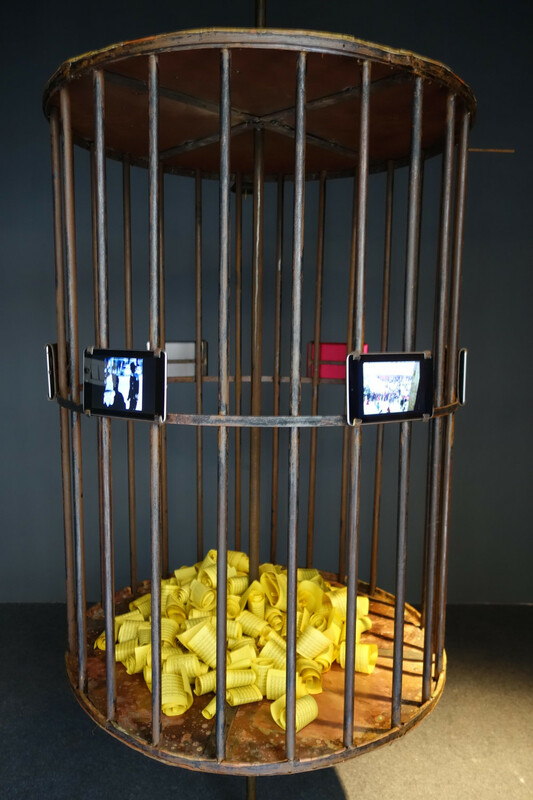 "Disturbing” would be an apt description of “Burning Against the Dying of the Light”, an exhibition on the Tibetan political struggle by film-makers Ritu Sarin and Tenzing Sonam. From archival footage of self-immolations in Tibet (brought to India for the first time) to a 17-year-old girl's diary entry just before sacrificing her life, the works on display are hair-raising. Sangye Dolma, 17, immolated herself in 2012. Launched on December 10 – International Human Rights Day – the show will go on till December 31 at the Khoj International Artists’ Association in Delhi. Sarin and Sonam had been tracking the self-immolation videos as they appeared online. 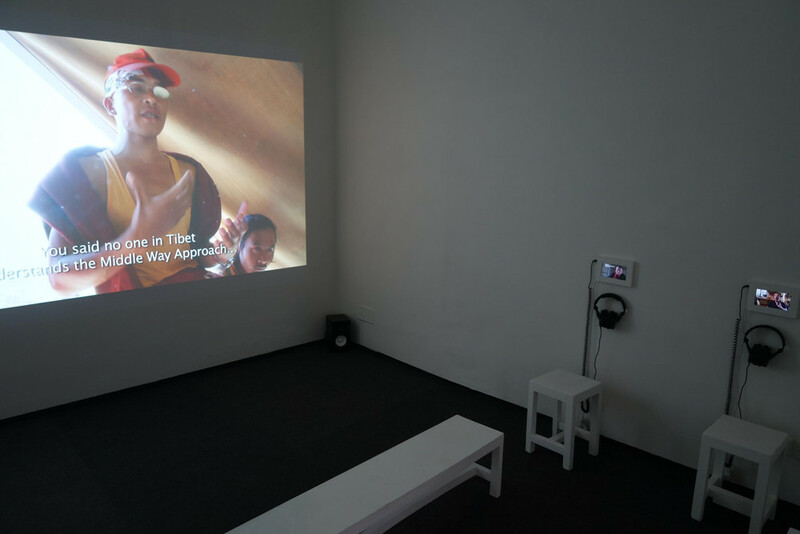 Now the highlight of the exhibition, these videos had originally been posted on social media or smuggled out of Tibet at great risk to its senders. The footage served as the only hard evidence of the wave of self-immolations sweeping across Tibet. A slideshow on the freedom struggle. At a panel discussion, Sarin said that after a considerable lull, as many as 149 Tibetans had immolated themselves over the past 17 years. There were protests across Tibet in 2008 – the largest since the Dalai Lama had left in 1959. A storm was brewing and 2011 saw a spate of self-immolations before the movement really gathered steam in 2012. “The Wheel of Darkness and Light” is one of the most impressive installations on display. It consists of a huge, rotating Buddhist prayer wheel without beautiful ornamentation. 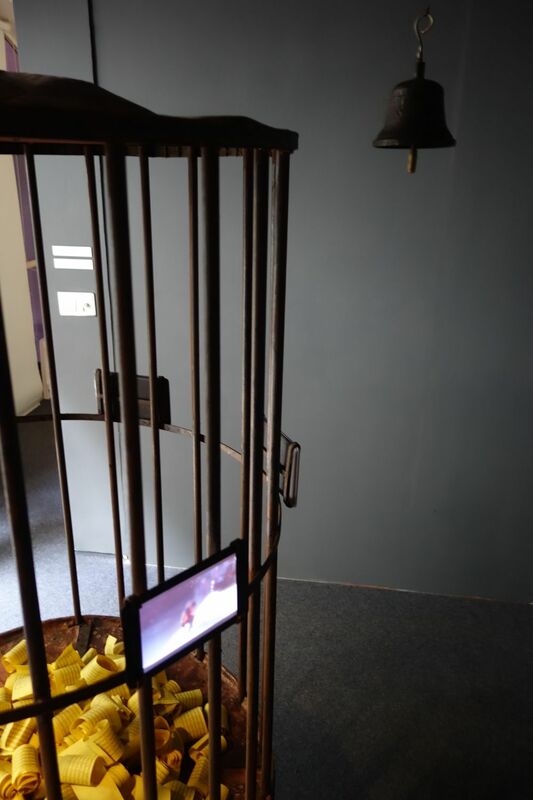 The installation is skeletal, merely containing metal bars with Tibetan prayer flags heaped inside – a subtle reference to the curbs on religious freedom inside Tibet. Several tablet computers were fixed on the circumference, each playing hurriedly shot videos of self-immolations inside Tibet. The Wheel of Darkness and Light. A slideshow lists what the Chinese government called illegal activities related to the Tibetan struggle. These included praying for the self-immolators and burning incense sticks in their memory. The videos of self-immolators’ funerals, which saw huge turnouts, were revelatory. Chinese forces cracked down on the mourners, targeting anyone who attended or spread information about the funerals. Meanwhile, Tibetans in exile accorded a martyr’s welcome to the bodies of self-immolators as in the case of the late Jamphel Yeshi in Dharamsala. Some of the footage is indistinguishably close to images that often come out of Kashmir, where those who die fighting against the State are given heroes’ welcomes. The visuals of hundreds of armed soldiers launching a dawn raid on a sleeping village and conducting door-to-door searches for suspected Tibetan nationalists are reminiscent of the crackdown that became a norm in Kashmir in the early 1990s. One of the most moving works is “The Last Words”, where final messages left behind by victims of self-immolation are displayed. 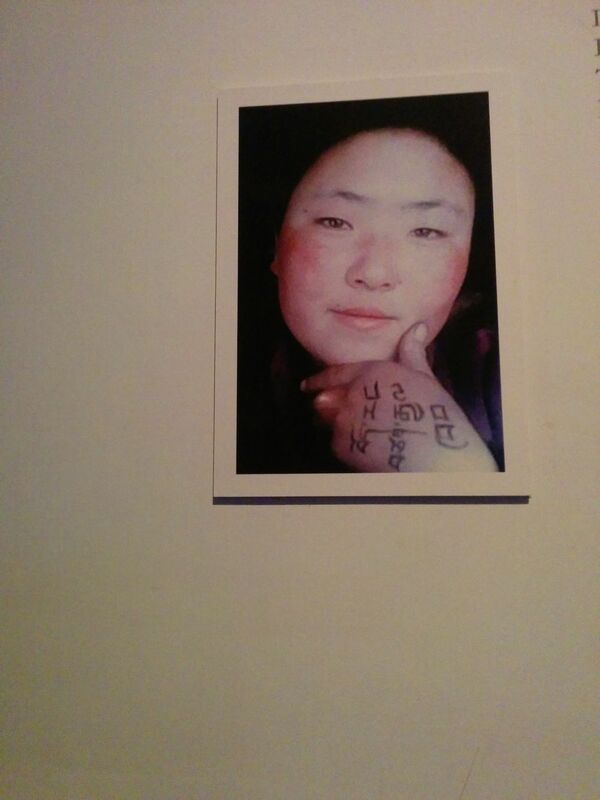 As 17-year-old Sangye Dolma immolated herself in 2012, she had the words “Tibet: An Independent Country” inscribed on her palm. As a Tibetan in exile engaged in the freedom struggle, Tenzing Sonam said that his whole life has been deeply linked to and affected by events in Tibet. A video of a peace march shows how the debate on the Middle Way – the peaceful resolution proposed by the Dalai Lama – versus Independence has split Tibetan society down the middle. A group of monks had embarked a march to Tibet from Dharamsala in 2008 when they were stopped by Indian soldiers at the Chinese border. At one of these camps, a heated discussion between the monks and their well-informed opponents illustrates how Tibet is very much a struggle for identity. The biggest challenge the filmmakers faced, they said, was how to approach the subject – with its gory and disturbing imagery – “without sensationalising it”, and how to go beyond the imagery and arrive at some deeper insight that is also relevant to a much wider audience.